I think there are some helpful insights from these definitions of the word selah. Most include the concept of stopping or pausing-in other words, resting. Another definition reminds us to pause and then to refocus our mind on the truth that has just been read or heard. Another definition instructs us not to only stop and refocus our mind, but to respond in praise. Selah is such a peaceful word. Thank you for the definition and for the 3 Rs. I'm going to write them down so I don't forget! God is working in me in this area, Laura. 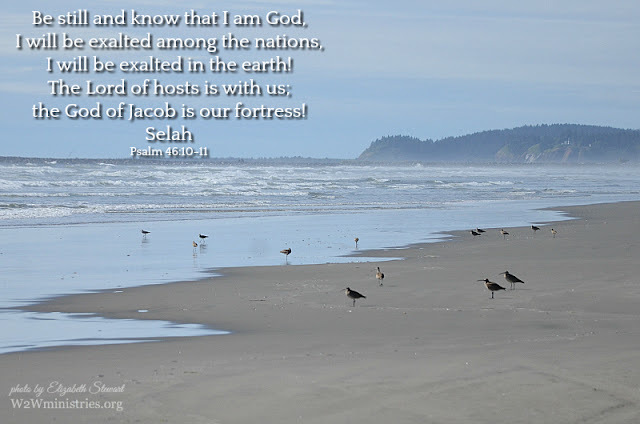 I need to learn to "selah"! I also thought it meant to rest and pause, like a musical rest. I need the reminder and I need a good Sabbath in every day. thanks, elizabeth! I need the reminder as well! I'm familiar with Selah as a musical pause, but I like that it's also an instruction for me to pause and think about the truth of the words and to praise God in my heart during the musical interlude! I am learning to rest, to meditate, to wait in God's presence as well, Kym!